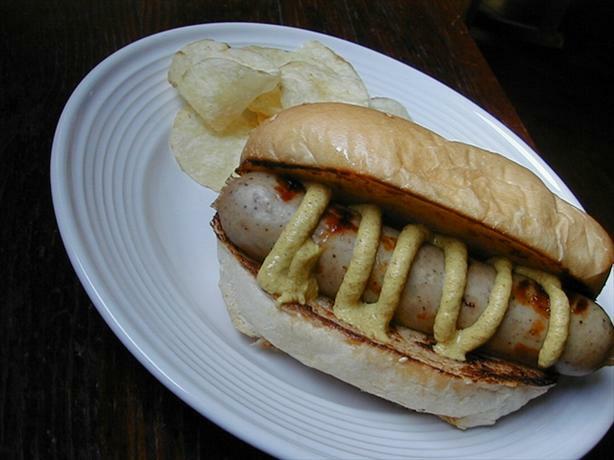 Sasaki Time: BBQ Brats 'n Beer Recipe! 1 Put the brats, onions, peppercorns, cloves, garlic in a saucepan, pour in the beer. 2 Bring to a boil and simmer the brats 15 minutes. 3 Drain (you can do this early in the day and then just have the BBQ step to do before serving). 4 BBQ the brats about 10 minutes. 5 Spray with water while BBQing to form a crisp skin. 6 Serve on the roll with mustard and hot peppers or other relish or serve them as your meat for dinner.